Wonder Woman actress Gal Gadot has released the first official picture from the upcoming flick, announcing that filming is now underway. 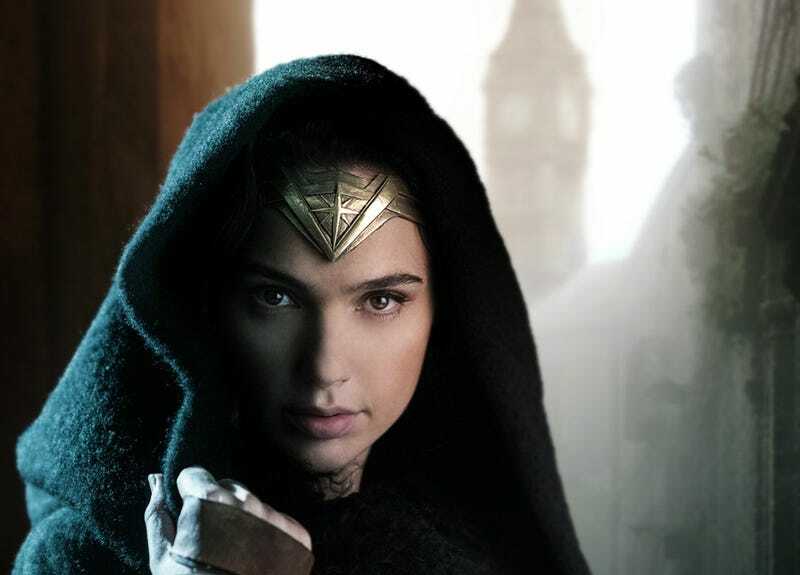 Along with the picture, Warner Brothers has announced that she’ll be joined by Chris Pine (as Captain Steve Trevor), Robin Wright (House of Cards), Danny Huston (Clash of the Titans), David Thewlis (Harry Potter), Ewen Bremner (Exodus: Gods and Kings), Saïd Taghmaoui (American Hustle), Elena Anaya (The Skin I Live In), and Lucy Davis (Shaun of the Dead), although there’s no indication as to what role anyone is playing. Filming has begun in London (and it looks like we’ll see some action on the streets of the city, with the Clock Tower in the background (Big Ben is the name of the bell). Wonder Woman is set to hit theaters on June 23, 2017.